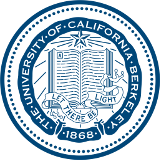 The Berkeley Medal was established in 1981 as UC Berkeley’s top honor. On very rare and special occasions, it is bestowed on individuals whose exceptionally distinguished contributions to society advance the university’s ideals and goals and whose careers have benefited the public beyond the demands of tradition, rank, or direct service to Berkeley. The Chancellor works closely with an advisory committee to confidentially select each recipient. The medal is given at a public function on campus, and recipients must be present to accept it. None. Nominations are accepted year-round. Submit one nomination letter and up to three letters of recommendation to Chancellor Carol Christ. Include the nominee’s and nominator’s contact information in the nomination letter. Address different aspects of the nominee’s leadership skills and impact on his/her community, profession, or society. If applicable, describe the nominee’s commitment and connections to Berkeley.